Opioid addiction is one of the more challenging substance use disorders to confront and manage because of its physical dependency characteristics. Once the process of physical addiction has taken hold, avoiding daily withdrawal becomes a high hurdle. Because of this daily dilemma, it becomes difficult to remain focused on other aspects of recovery. It’s the law of “first things first” that applies when tackling any problem. There is a natural order and sequence which must be followed when trying to solve a complex task. Opioid addiction recovery is no exception. 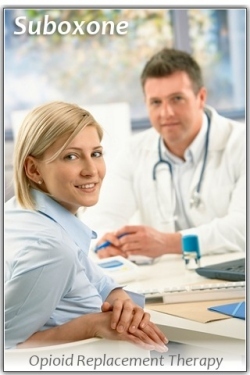 Obtaining relief from opioid withdrawal symptoms is a very important first step in addressing opioid addiction. This is why medication-assisted treatment is specifically identified as a medical best practice. Science and years of exhaustive research have proven (not just suggested) that treatment coupled with medication-assistance offers the greatest probability of long-term success when trying to overcome moderate to severe opioid addiction. Fortunately, more people are becoming aware of the need for buprenorphine, methadone, and other medications that can play a vital role in stabilizing an opioid addicted individual at the onset of their personal recovery. Historically, efforts to come off of opioids in a detox setting have been often unsuccessful because many detoxes used insufficient medications to alleviate withdrawal symptoms. Consequently, patients would typically begin to get sick in 1-2 days with their withdrawal symptoms becoming intolerable. This can lead to patients abandoning the detox effort and a quick return to illicit opiates. However, the tide is turning. As the American opioid crisis continues to impact families and U.S. society, many more physicians, lawmakers, and government representatives are gaining a quick education on the enormous value of medication-assisted treatment. Methadone is at the forefront of this new awareness as is buprenorphine-based products like Suboxone. Appropriate medications used responsibly and under a doctor’s supervision provide stability, hope, and opportunity. 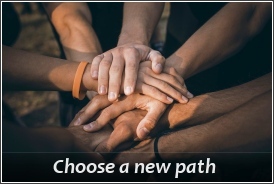 Right Path provide a variety of opioid, alcohol, and other drug addiction treatment services through their various outpatient programs located in Virginia and North Carolina. The organization utilizes Medication-Assisted Treatment (MAT) for opioid use disorders, and they provide confidential consultation to individuals who are trying to determine the best of course of treatment for dealing with their addiction issues. 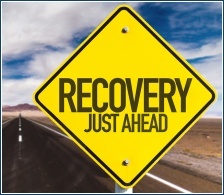 Right Path are equipped to now provide the new Probuphine implant that utilizes time-released buprenorphine to alleviate opioid withdrawal symptoms as individuals pursue a solid, long-term personal recovery. Right Path endorse the benefits of 12 Step philosophy while also incorporating a strong medical component in their opioid recovery program due to the statistically high percentage of opioid addicted people who will ultimately relapse without medication-assisted support. Read more about Right Path’s services and counseling approach at the link above. Many state-funded addiction treatment services have undergone gradual cuts during the last 15 years. With the rising opioid addiction crisis in America, better access to opioid treatment is definitely needed. There are a number of private clinics and outpatient treatment centers opening their doors in most every state. These private clinics are meeting a need for services that are often absent in more remote areas of the country. Some new opioid treatment providers are smaller, independent methadone clinics while others are part of a larger network such as those owned by Acadia Healthcare, Behavioral Health Group (BHG), or Colonial Management Group. They all have one thing in common, and it is that they provide their patients with medication-assisted treatment (MAT). MAT is scientifically proven to be more effective than other forms of abstinence-based treatment. Medication assistance typically utilizes methadone or buprenorphine-based products to alleviate a patient’s chronic opioid withdrawal. Without medication-assistance, patients often face either a detox admission or they struggle on in a daily effort to secure opiates so as to prevent the return of withdrawal sickness. People ready for opioid treatment may find that their local methadone clinic is full, or that their nearest clinic is just too far away to access on a daily basis. For some patients, suboxone/buprenorphine may be the best solution since a prescription can be obtained for several weeks of medication before a return visit is required. Access to treatment is currently on the radar of national healthcare officials and government legislators, many of whom have received numerous letters and calls from families requesting more funding for treatment, and better access. Media coverage has also been much improved during the past 3 years in part due to the widespread opioid crisis and its broad impact. Supporting local opioid addiction treatment services is important for every community. It ultimately saves lives, reduces crime, and promotes recovery so that addicted patients can work and function. 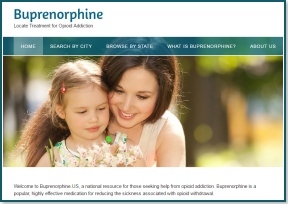 Buprenorphine.US is the newly developed companion website to Methadone.US. Methadone has been in use as an opioid addiction treatment medication for nearly 50 years. In 2002, buprenorphine became available in the U.S. as a new alternative for people suffering with opioid addiction. Since then, various medications containing buprenorphine have been released such as suboxone and zubsolv. Buprenorphine for opioid addiction treatment can only be prescribed by qualified physicians who have received training on the proper use of buprenorphine. 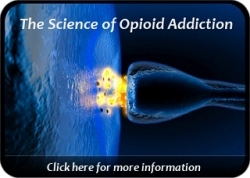 As the opioid addiction problem grew over the last 15 years, many thousands of doctors pursued training and were approved in the use of buprenorphine-based medications to treat opiate addiction. At Methadone.US, we have served over 1 million U.S. visitors since the website’s launch in 2011. Buprenorphine.US will aim to connect many more individuals with qualified physicians who can help them in their journey toward a genuine recovery and improved quality of life.